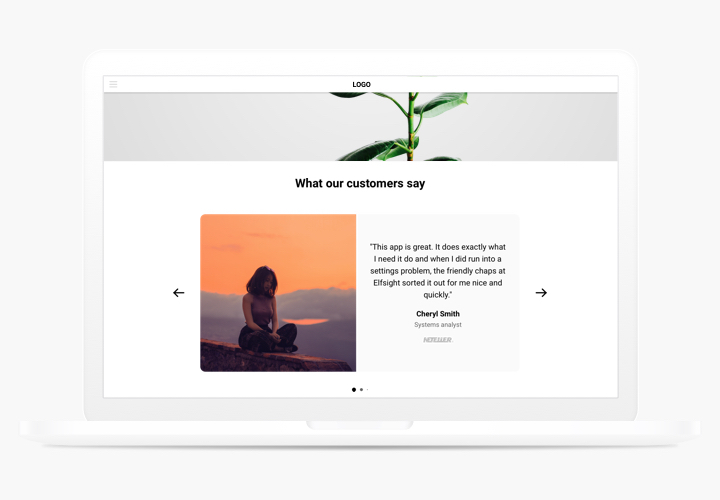 Testimonials Slider is a simple app for showing testimonials of your clientele on your website. 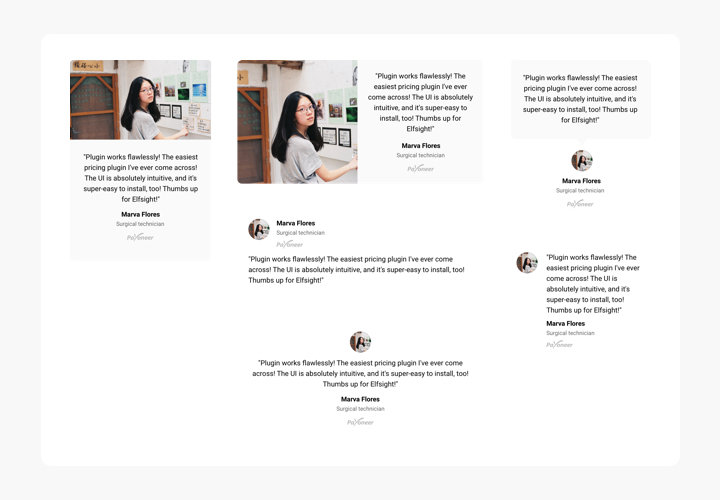 You can use all types of social proof to make the feedback look trustworthy: author’s name, picture, company’s logo, and even a URL to the website. Increase trust in your business by demonstrating to users your delighted customers. Make your testimonials look really trustworthy. 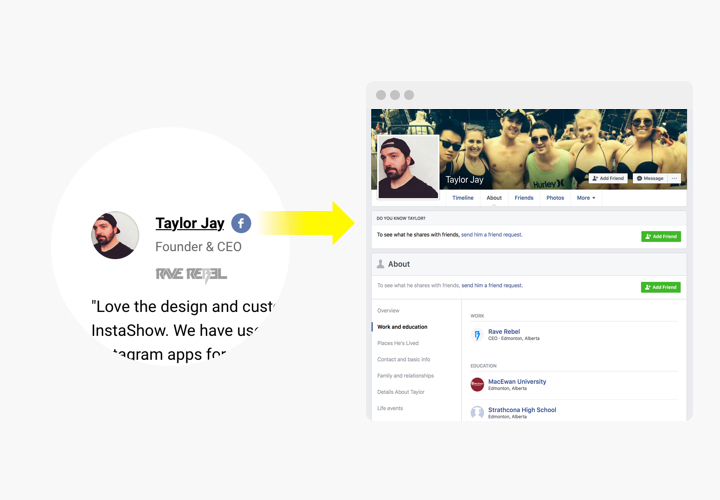 Show all possible data about the author of each review, like his or her name, company, and position – prove to visitors, that they see written by real clients. Real customer testimonials conveying positive emotions attract readers to share this experience. They motivate for buying and increase your conversion. Level up trust to your site. Add positive feedback of your users on the website and show cases of smooth client experience to grow trust to your enterprise. 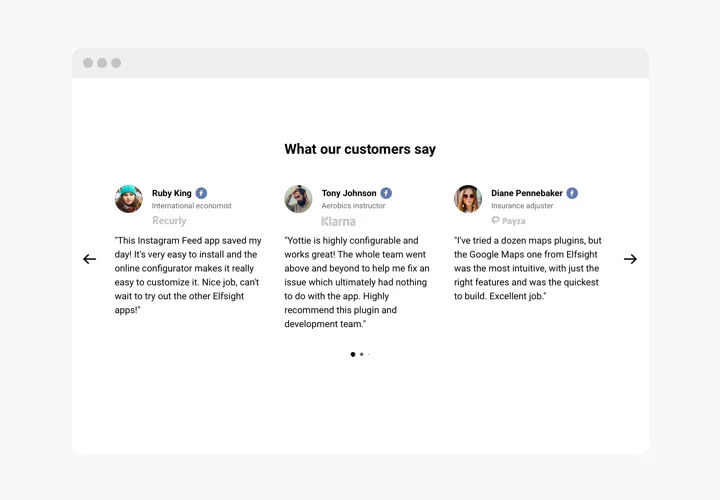 Here are the most important features, which turn our Testimonials Slider into an essential app for any Shopify website. Slider arrows and pagination options. Our app features intuitive installation and does not require any programming. Fulfilling of the guide will take you less than 1 minute. 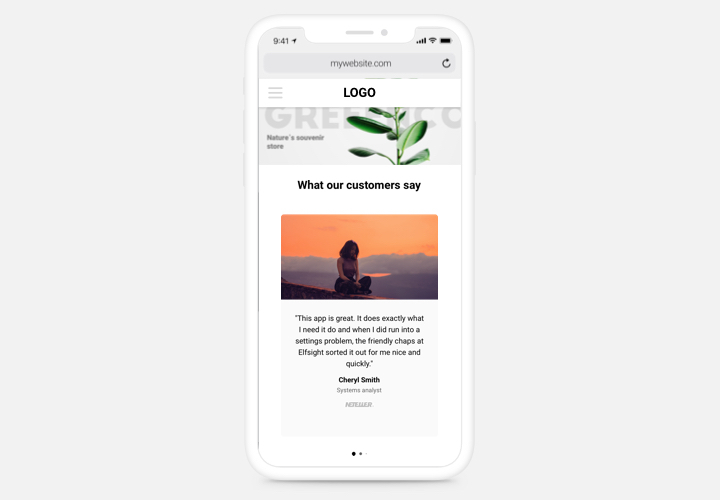 Press «Get» button, to embed the app on a Shopify store. Assign the data of the app: text and adjustments of the interface. Acquire the widget code. Display the app on the webpage. Go to «Pages» category and find the page to insert the app. Next, insert the code in HTML format and publish the edits. Visit Shopify site, to see your app! Came across any issues while installing or configuring our app? 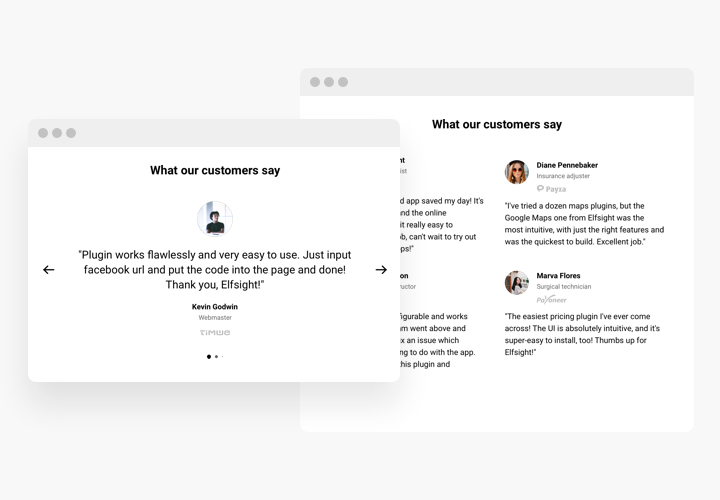 Study the detailed tutorial on setting up Testimonials Slider on Shopify or send an enquiry to our Support Center.